I’m all about supporting others with small business and would like to feature some of them on my blog from time to time. Let’s start with James and Gege’s Sweet Fudge Creations based out of Wilton, Iowa. What started as a hobby a few years ago has now grown into a business! Check out their extensive menu of regular and specialty flavors. I was sent a few flavors to sample and I (slowly) tried them all. I have to say my personal favorite was Root Beer Float! YUM! Unfortunately, I didn’t think until I was done eating them that I should take picture of the ones I had! You can purchase by the pan, the pound, 1/2 and 1/4 pound. Not only that, but you can supply fudge for your next celebration: Birthdays, weddings, holidays- even blue and pink baby announcements! They even offer sugar free chocolate. You can also purchase gift certificates in any amount if you aren’t sure what flavor to choose for your friends and loved ones. You might come across the company at vendor shows and they hope to have a brick and mortar shop next year! I have to say-It’s definitely worth a look, and a taste…… and maybe a few more tastes. Just make sure to share with your friends! Hello friends! Sorry I haven’t posted in awhile! Just wanted to take a minute to let you know that is coming up soon. First, check out this page for some fun Washi Tape Wall Art. I will also posting Part Three of my series on the Sawyer Mini Water Filtration System. I will actually be putting it to use and sharing some pics, maybe a video. If you missed it check out Part One and Part Two. Also, coming very soon I will be featuring a small business and reviewing their yummy fudge! 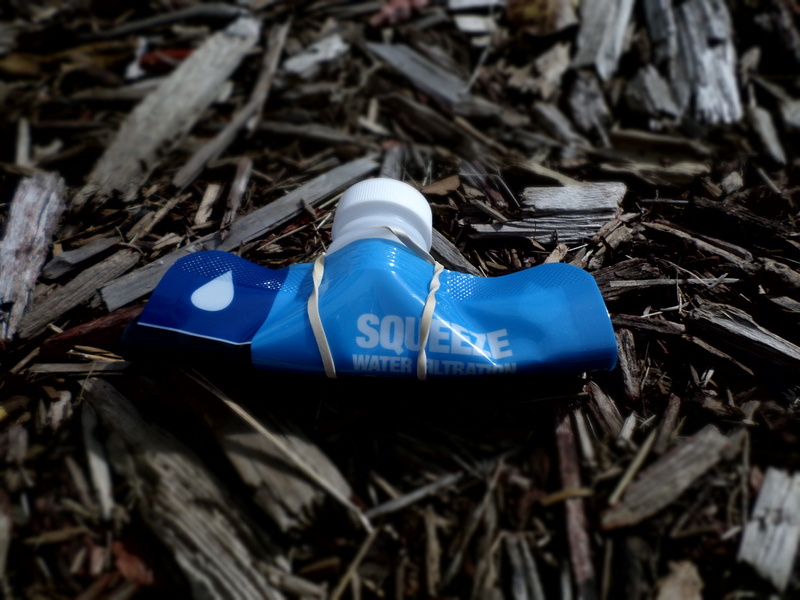 This weekend I shared with you some pictures of the new gadget I have- the Sawyer Mini Water Filtration System. Click here to see that post if you missed it. Today I want to share with you more details on what it is and how it works. And Part Three will be a demo of how to use it! Filters up to 100,00 gallons! 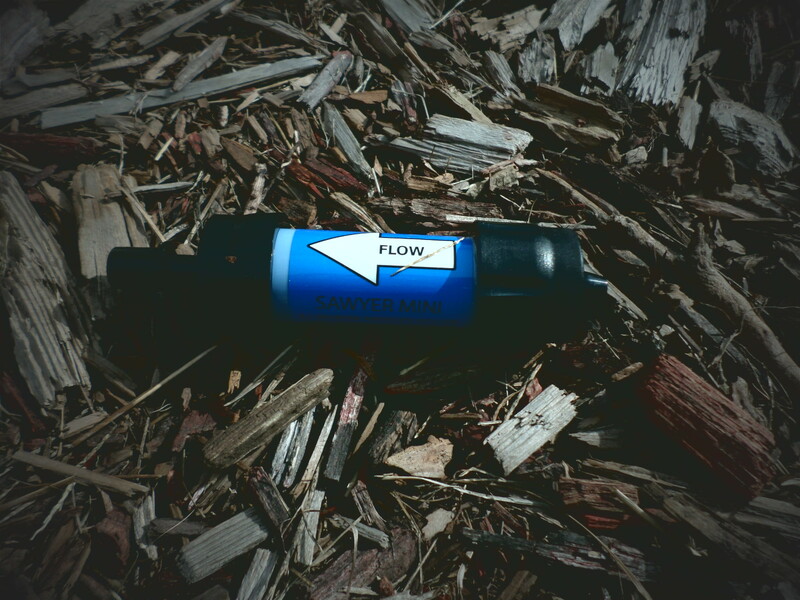 No cartridges to replace ever- a proper backwashing can restore up to 98.5% of the flow rate. How Do I Drink With It? There are multiple ways to use the product. 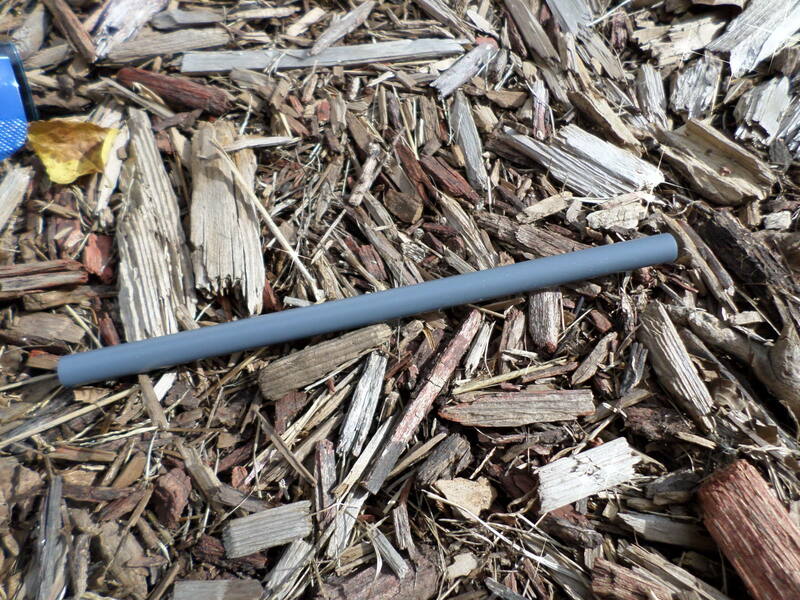 You can simply use the straw that comes in the package in order to drink directly from the water source. Connect it to your hydration pack. It also fits directly onto any standard water bottle. Or connect it to the collapsible drinking pouch that comes with it. The filter removes 99.99999% of bacteria and protozoa- salmonella, cholera, e. coli and more. This would be perfect item to throw in your bag when doing any sort of outdoor recreation, including camping and hiking. 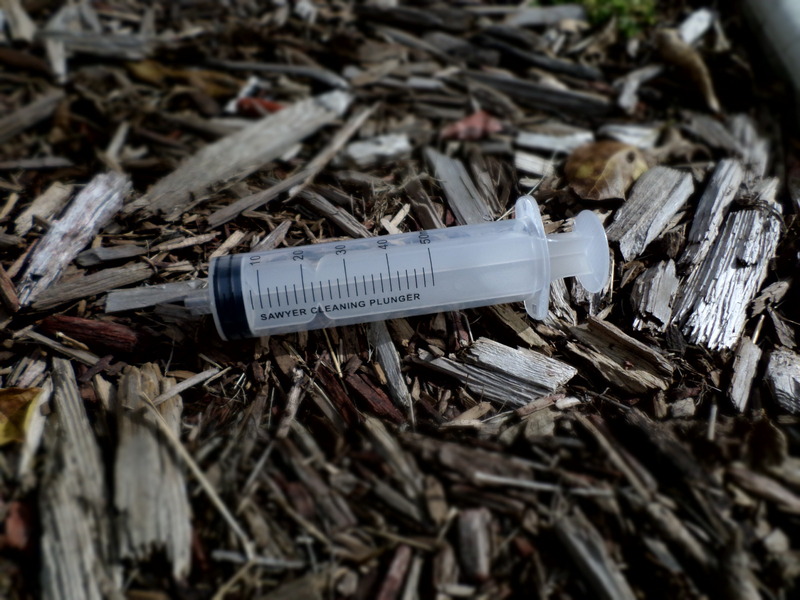 Throw it in your carry-on bag when traveling internationally. And put it in your “bug-out” bag or glove box of your car for emergency preparedness. 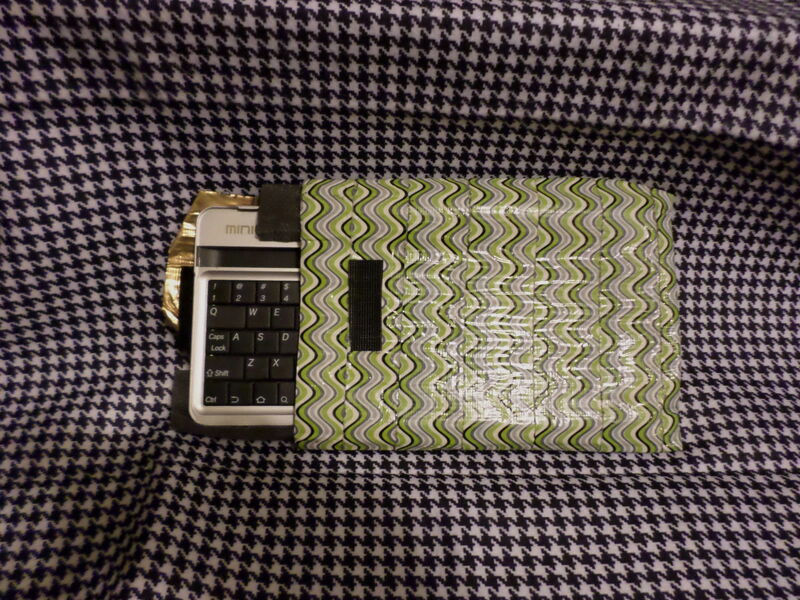 The small, lightweight product can fit anywhere- even your purse! It comes in more than one color and in multi-packs as well. The filtration system can be found at a variety of online retailers and outdoor/sporting goods stores. 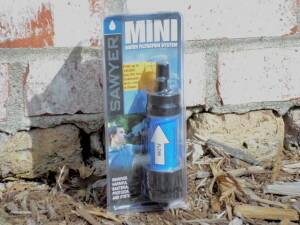 If you want to find it on Amazon, here you go: Sawyer Mini Water Filtration System. What a great Christmas stocking stuffer these would make! I just received a new product that I want to share with you. This will be a multi-part post. Today I just want to share with you what comes in the package. Later I will share with you more details about what you can do with it. And I will also test it out and share pictures and maybe video of that process with you. Also, I just discovered a photo editor on my camera itself so I wanted to play with that. 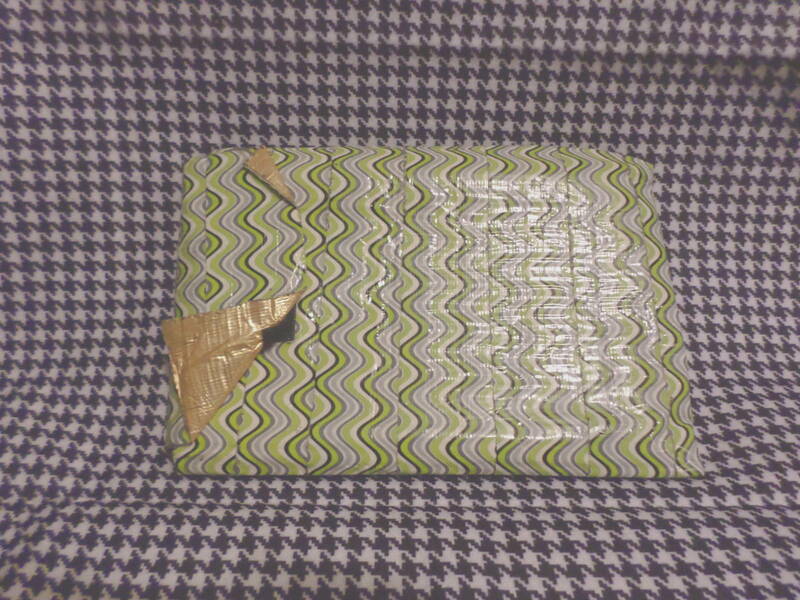 Here is the package before opening it. 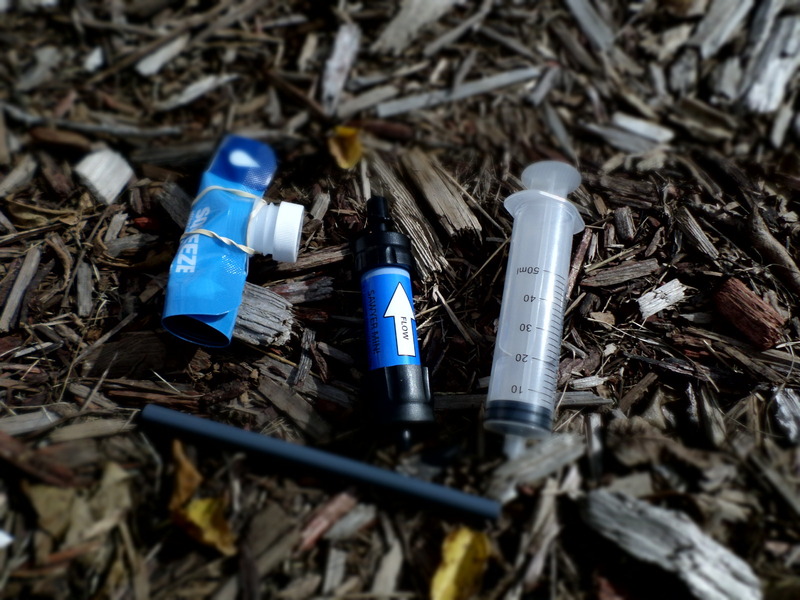 As you can see, the package includes a 0.1 micron absolute hollow fiber membrane water filter. Also inside is a 16 oz. reusable squeeze pouch. I didn’t unwrap it yet, just because I’m not quite ready to use it. There is a drinking straw. Stay tuned! I will be back with more details and a demonstration! 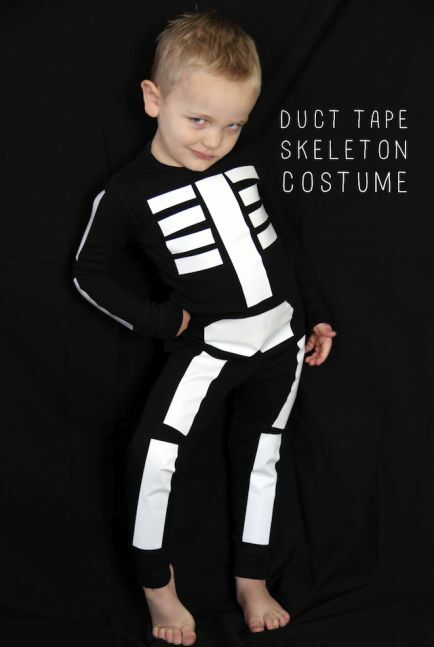 I came across this article about Kids Halloween Costumes using duct tape. You can check out the link to read more about it, but I had to share with you this photo. I’m loving this kid’s face and pose. Haha! Well, I’ve never written a restaurant review before, and I’m not a professional “foodie”, but I visited a place for the first time last night and thought I would let you all know what I thought! After a round of disc golf, Greg and I decided to stop in for a bite to eat at The Blind Pig on Center Point Road in Cedar Rapids, Iowa. The building was previously The Londoner, and before that I believe it was a sports-themed bar that I can’t remember the name of. No longer “coming soon.” It’s here. Obviously the set-up of the building is the same as the previous bars, and unfortunately I didn’t take the time to really look around at the decor. I did notice that there were plenty of TV’s around, making it a good place to watch “the game”, if you are into that kind of thing. They had a decent sized beer menu, including several craft beers. And the food, I am told, is all made from scratch. Greg ordered one of his faves, fish and chips, and I ordered a meatloaf sandwich and sweet potato fries. Both were very yummy. And at the end of our meal, someone from the kitchen came out to ask us how the food was, and also offered to bring me out some secret marshmallow sauce for the sweet potato fries I was packing up to take home with me. Well, I don’t know if it is secret sauce, but I don’t believe it was on the menu, so you have to know to ask for it. So now you know-ask for it. Definitely yummy! There were plenty of other things on the menu that I would like to try, so I will have to make some more visits. And you should too! Unfortunately, I wasn’t able to find an official facebook page or website to send you to, but if you are in Cedar Rapids, you know the area I am talking about. 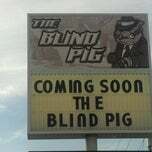 So the next time you are wondering where to grab a bite to eat, make sure to pay a visit to The Blind Pig! And as always, don’t forget to check out my other page, Randomocity. So I just found out something that I am going to have to try soon. Apparently if you pull duct tape apart quickly in the dark, it turns blue. This is an example of triboluminescence, which is a glow given off when certain materials are under mechanical stress or friction. I haven’t tried this yet, but I am going to try to capture it on video. Here is a duct tape project I made myself. 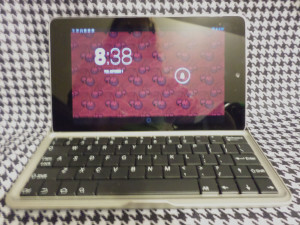 I have a mini-keyboard that I can connect to my tablet via bluetooth. 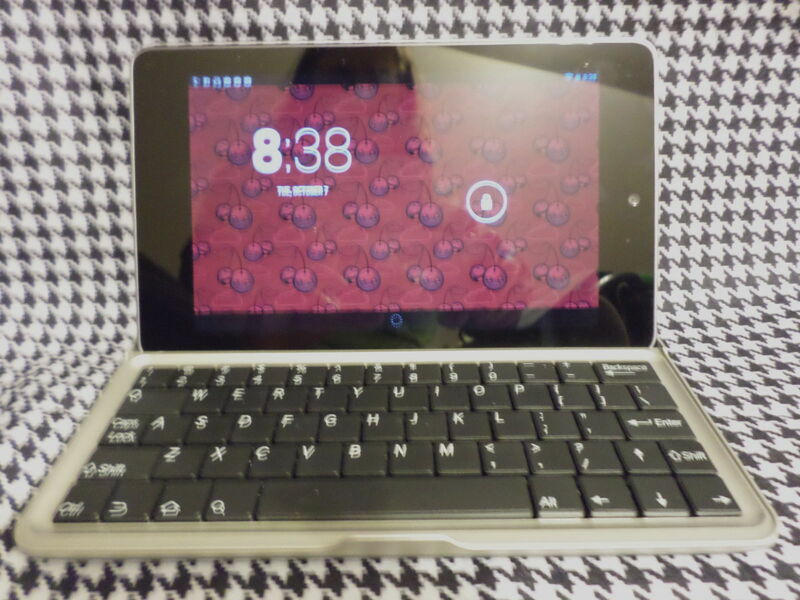 It makes it look like a teeny tiny laptop. So cute! 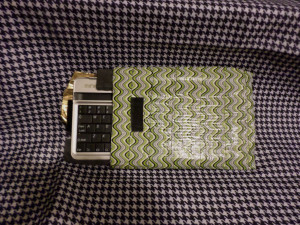 Anyway, I decided to want to make a case for it, so I could throw it into my bag without ruining it. So I made one out of duct tape of course! It’s a little beat up but still does the job. I also put some foam in the side to protect the keyboard a little more. And a velcro closure. Super easy and keeps it safe! 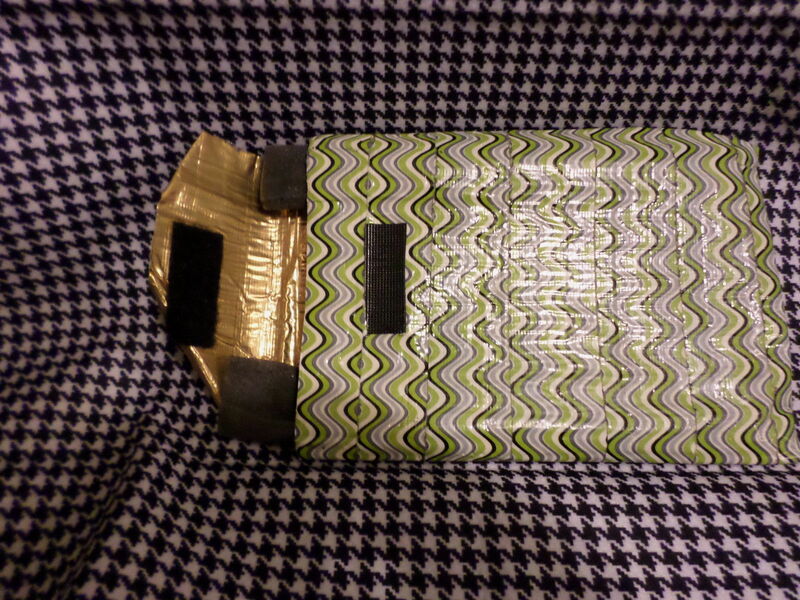 Here are just a couple of links about duct tape I came across today. 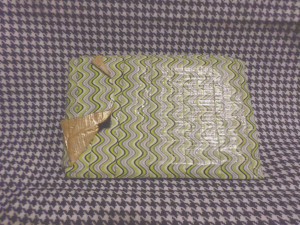 First, a story of how duct tape saved the day: Duct Tape to the Rescue. 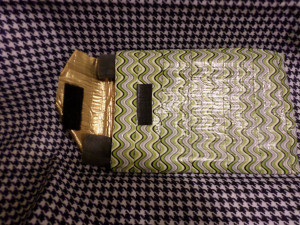 And then a fun project made with duct tape and a garbage bag: Beach Tote. This book was really my first foray into the world of Amish fiction. To be honest, I wasn’t really aware of it as a literary genre. So when I received a copy to review, I really had no idea what to expect. I do know that I wasn’t expecting it to be a page-turner that I didn’t want to put down. It was. The story revolves around Beatrice Zook, a young woman that believes she never wants to be married, especially to her childhood nemesis, Ben Rupp. As her family visits Montana, Bea decides to stay back, taking a job helping a family with newborn triplets. Bea’s friends decide to try to bring Bea and Ben together. Through many trials and tribulations, the book draws you in- keeping you wondering if and when this couple will finally get together. I won’t give away the ending for you though. 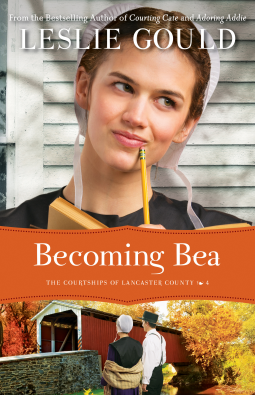 I didn’t realize until I finished the book that it was the final story in a series called The Courtships of Lancaster County, each featuring a character found in Becoming Bea. I was even more surprised to discover that each book in the series is based on one of Shakespeare’s- this one being an adaptation of Much Ado About Nothing. Knowing this, I now want to go back and read that play again, then re-read Becoming Bea to discover the similarities. I was pleasantly surprised by this book and how the story is highly relatable to any young woman, Amish or not. I look forward to reading more of Gould’s work in the future. …. to check out my other blog, Randomocity, where I post anything and everything I feel like!